The Securities and Exchange Board of India (Sebi) is likely to rule in favour of Etihad Airways, clearing it of any takeover code violation while buying a 24 per cent stake in Jet Airways. A green signal from Sebi will bring the curtains down on the regulatory hold-up of the Rs 2,000-crore acquisition. According to sources close to the development, Sebi was convinced by the arguments put forward by the Abu Dhabi-based airline, which had earlier got a showcause notice on the issue. Etihad had argued that the definition of control under the takeover code should be looked at differently from that in the competition law. 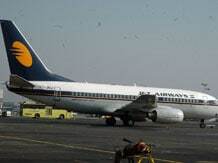 At a personal hearing earlier this month, Etihad, which was advised by corporate law firm Amarchand & Mangaldas, had denied it had violated the takeover code norms while acquiring stake in Jet Airways last year. "We are conducting a final review on Etihad's submission and are likely take a final decision this week," said a Sebi official on condition of anonymity, adding that the regulator was largely convinced with Etihad's justification. Sebi, in its earlier order, had cleared the deal from any securities law violations but had changed its view based on observations made by the Competition Commission of India (CCI). The anti-competition authority, while clearing the deal between the two airlines, had made an observation that the transaction gave joint control to Jet and Etihad. Legal experts concurred that what constitutes 'control' from securities law can be different from the competition law. Jay Parikh, partner at legal firm Verus, said Sebi would be right in exempting Etihad from making an open offer. "The CCI is mandated to scrutinise any mergers and acquisitions from the perspective of anti-competitive concerns. Sebi, on the other hand, is tasked to scrutinise it from an investor protection angle. Both perspectives are different. Therefore, Sebi will be correct in ruling that the CCI's observations on 'control' in the Jet-Etihad deal do not necessarily impact its own review of the deal," he explained. Sebi's clearance will come as a big relief for Etihad, who would have had to shell out another Rs 2,000 crore on the open offer to the minority shareholders of Jet. Also, the additional stake bought through the open offer would have clashed with the foreign direct investment (FDI) regulations. Current FDI norms allow a foreign airline to hold up to 49 per cent in a domestic carrier. The open offer, if fully successful, would have increased Etihad's stake to 51 per cent, which it would have had to pare again later. Ramesh Vaidyanathan, managing partner at Advaya Legal, said, "A decision by Sebi directing Etihad to make an open offer would negatively impact India's image as a destination for foreign investment. It would have virtually meant changing rules halfway through the game." The Jet stock is currently priced at about Rs 280. Etihad had purchased 24 per cent stake in Jet at Rs 754.70 a share, nearly 2.7 times its current price.